Park City Magnet is a Science and Technology school in Bridgeport which serves 500 students in Pre-K through 8th grade. 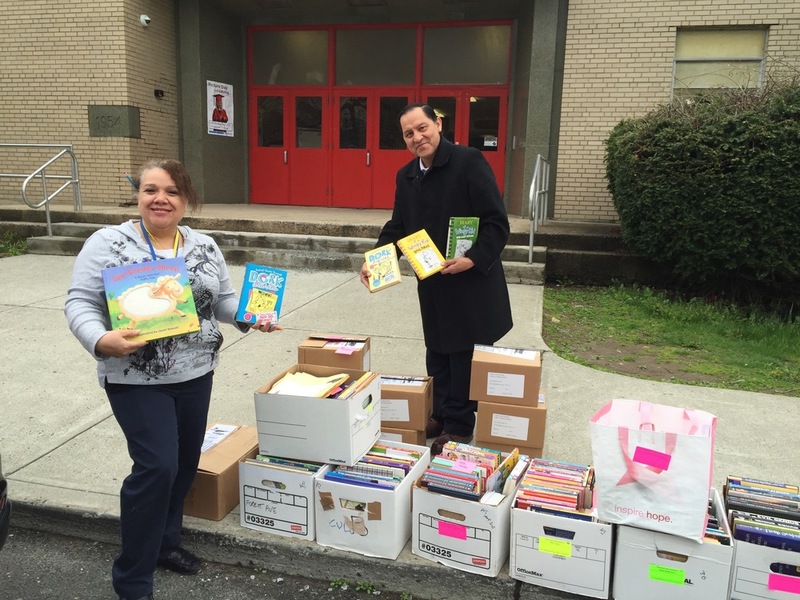 Lissette Valle, their Librarian, was very happy to get a wide range of fiction and non-fiction books for the library. Most of these books were donated by Wilton Library, who graciously offered them up to Books4Everyone following their annual book fair. We also provided 10 boxes of recent Common Core math workbooks, which had been donated to Darien Book Aid.